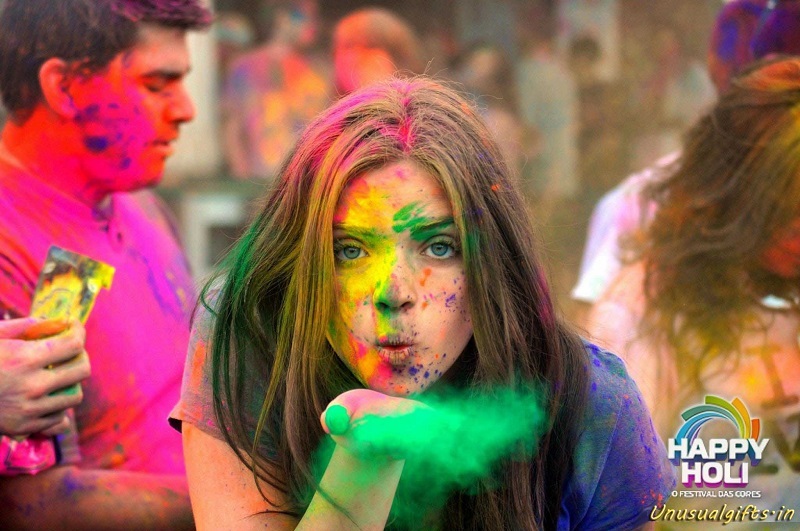 The festival of Holi is celebrated worldwide and especially in our country, with a lot of pomp and show. Its spectacular grandeur is worth viewing and therefore have been attracting thousands of tourists from across the world over the years. The overall atmosphere in some parts of the country is mesmerizing and people participate whole heartedly by playing colours and exchanging wishes and gifts. 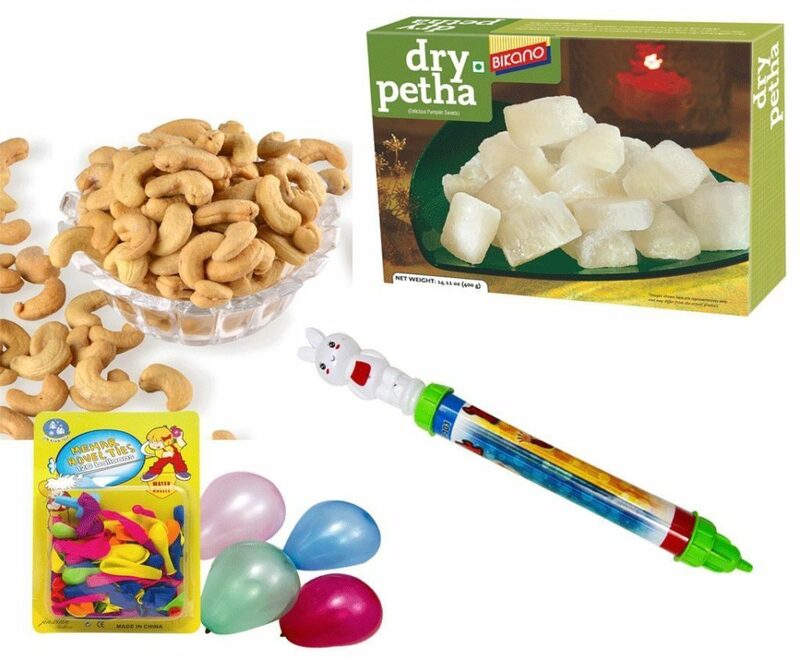 Gifting Holi colours, pichkaris, dry fruits and chocolates have always remained an essential part of the celebrations. And picking up that most desired or real winning gift for your special ones is an art that expresses your affection and gratitude for them. There are innumerable options and Holi gift ideas to select from the internet as per your flexibility and budget. Because kids are always over excited over the festival of colours, take a step ahead and make it more enjoyable and safer for them this year. 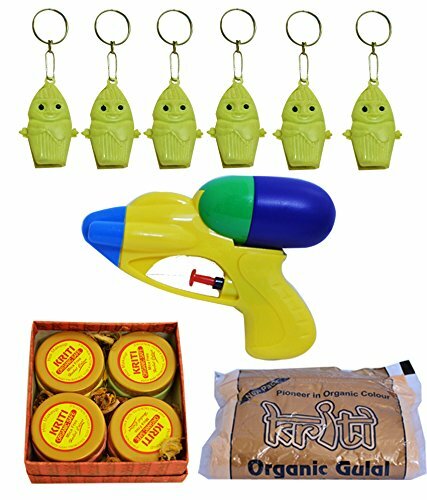 This pack of Holi gift contains a modern stylish gun pichkari, organic gulal, exciting noise makers and 4 organic colours packaged in reusable boxes. 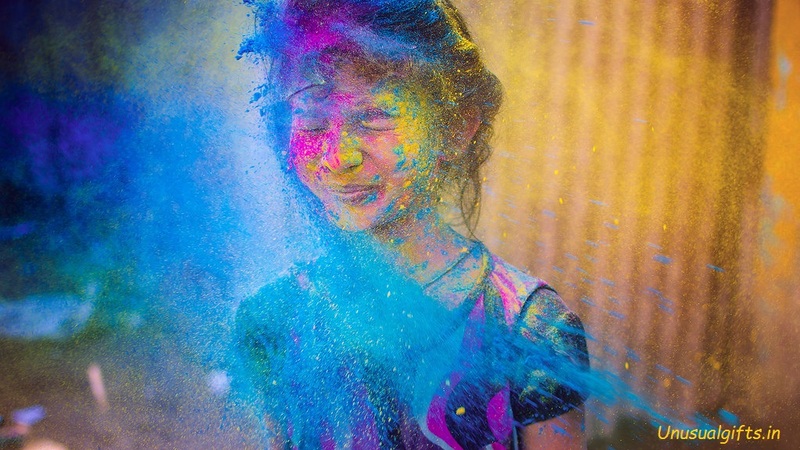 With kids celebrating organic Holi, parents can remain calm about any mishaps for their children or for the mother nature. 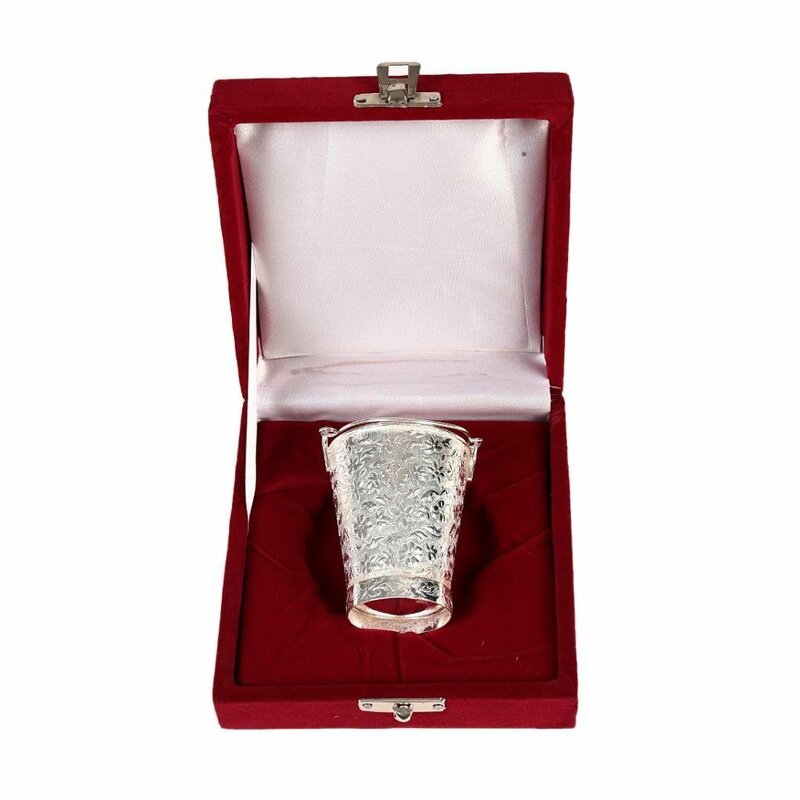 The German silver bucket is one of the perfect Holi gift ideas for impressing your relatives, friends or even your boss. It’s an excellent item that holds good for all corporate events as well. Plated with pure silver, its brilliant shine remains for a lifetime and is a great value for money. 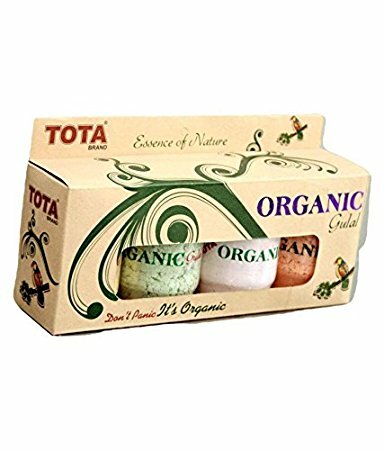 This 4 pieces pack of organic gulal made from pure herbal extracts is sure bring life and colours to any Holi party. They present the best options to be used as decoration for rangoli, games and other events as well. The natural ingredients and its easy packaging makes the product safe and convenient for use. Be it parties, festivals, photo shoots or colour fights, this pack of organic colours will definitely contribute towards a luxurious and extravagant Holi. 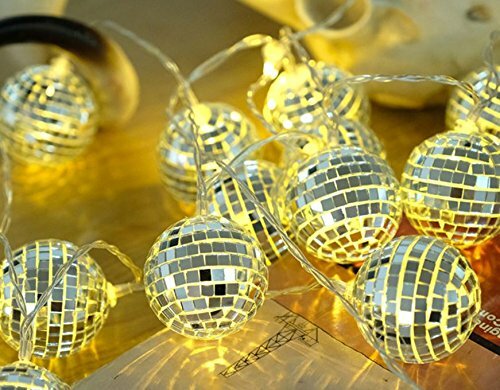 Perfect for creating that party décor and ambience, these gorgeous globe shaped lights are ideal for hanging from ceilings, over trees, mantelpieces and door frames. These are handy festival gifts ideas and the beautiful silver lights add a unique charm to your festive mood and the backdrop. These designer handcrafted vastras are a wonderful Holi gift idea for friends and relatives, who conduct Holi pujas at their homes. Packaged inside are a set of traditional handcrafted Devi Vastras beautifully designed with lace work and other decoration pieces. 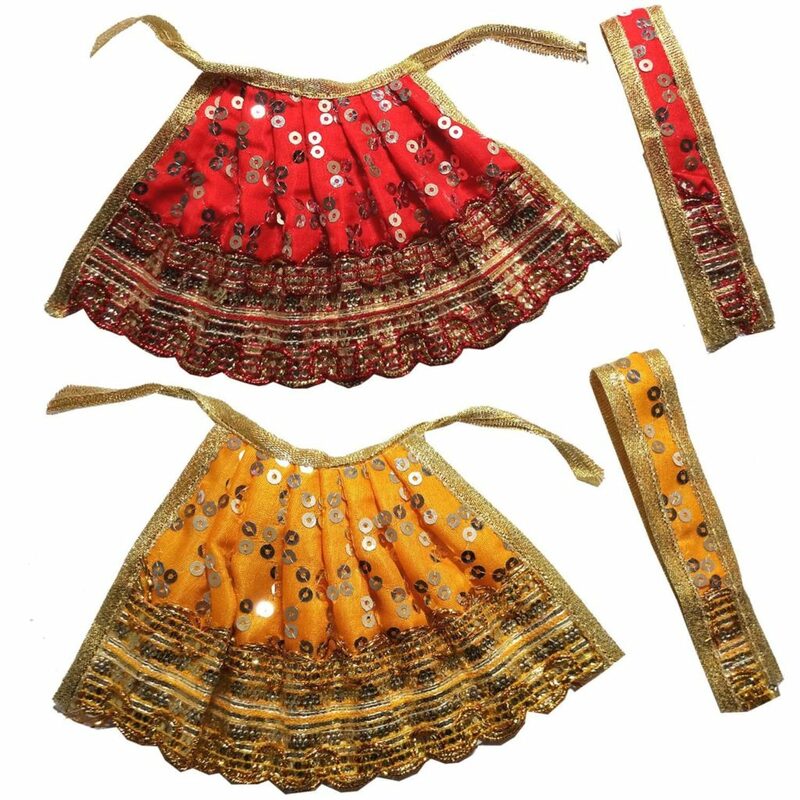 You can even gift this Shringar set on various other special occasions like Diwali, Raksha Bandhan or Navratri. 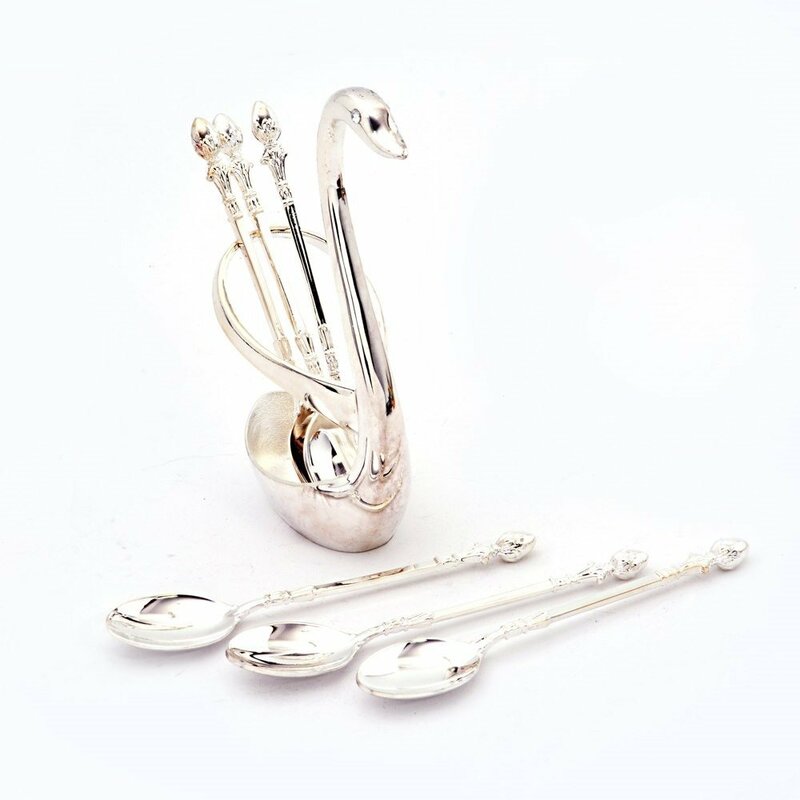 This elegant handcrafted swan shaped spoon set within a beautiful swan shaped stand is a great Holi gift item to present on all formal occasions. Made from brass, these silver coloured spoons come handy while handling colours. 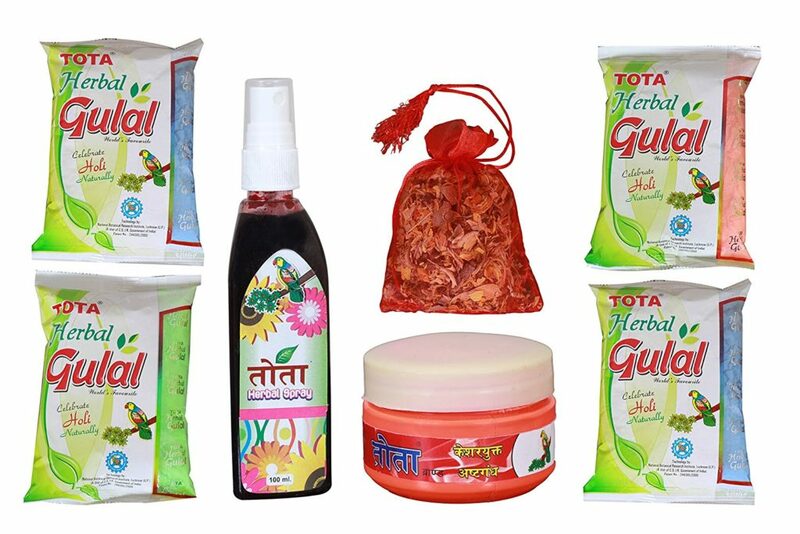 Also included in the package and two packets of herbal gulal, each of 100 grams. 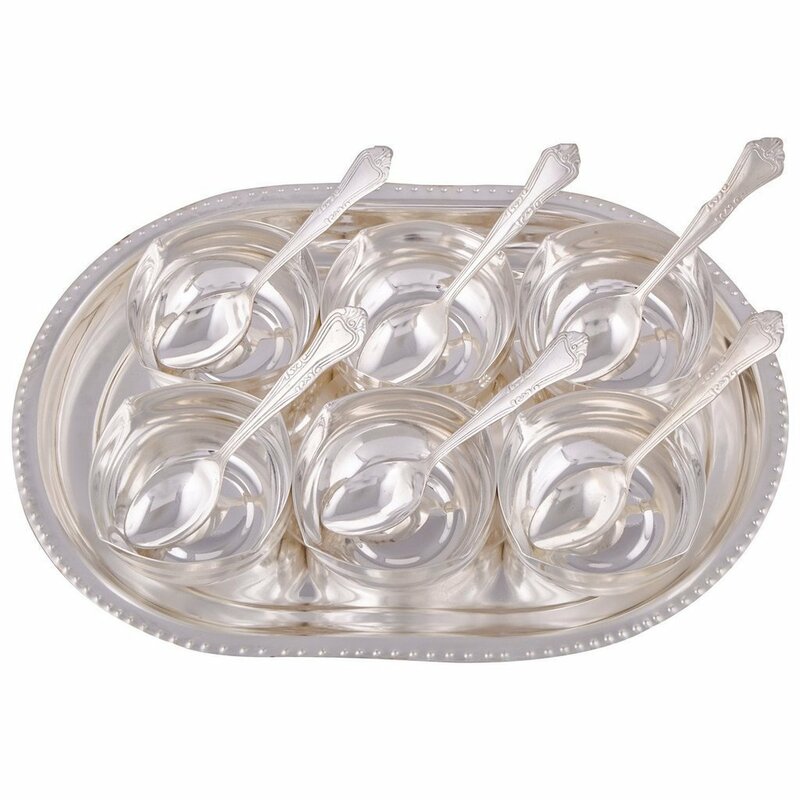 The silver plate, bowl and spoon set is a beautifully finished Holi gift item that you can use it personally and also for gifting purposes. Imparting a royal and classy impression, these bowls are perfect to hold colours for all your Holi party specials. It’s ideal especially for corporate gifting to set and adds a unique touch to the table and the entire setting. SUGGESTED READ Holi T-Shirts - Extremely Necessary For You To Keep It Cool! 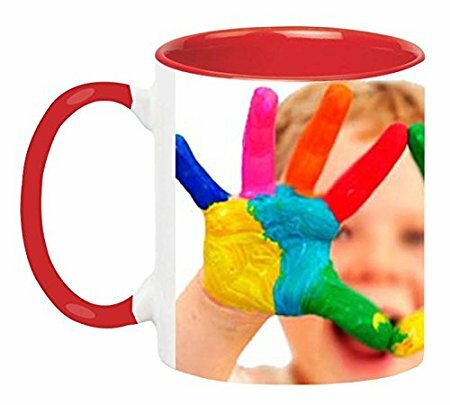 With this unique Holi gift item, you can offer the pleasure of drinking beverages from a designer printed Holi ceramic mug to your friends and family. Use it at your home or office, and the vibrancy of the design, colours and wishes on it will impress and please everyone. The mug is microwave safe and is ideal to hold any of your favourite hot and cold beverages. 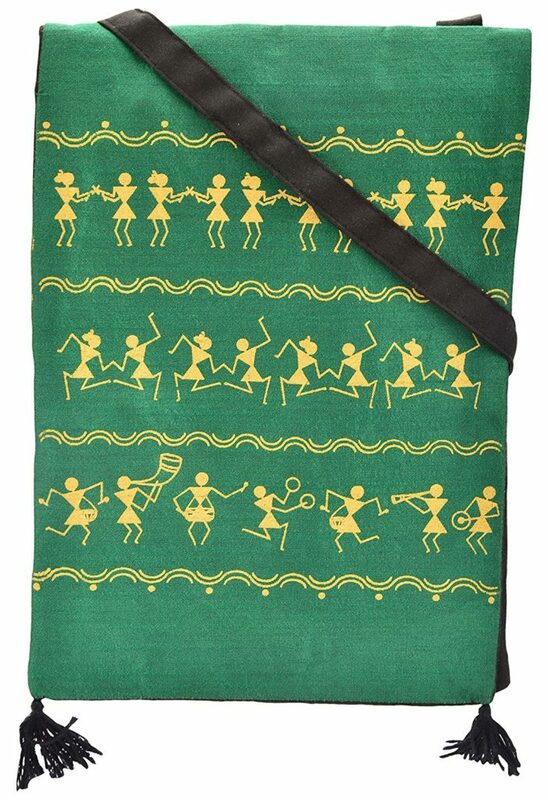 beautiful, traditional and functional item; this sling bag featuring warli design is a fabulous Holi gift item for your mother or wife. Made from cotton on the outside and tericot on the inside, this green bag with zip closure also comes with a warranty, offering great value for money. 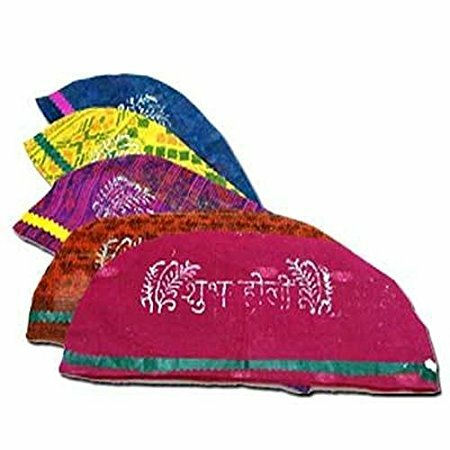 When you are celebrating the festival of colours with great zeal and vigour, this set of 10 vibrant Holi caps is a great way to add on more vibrancy to the celebrations as well keep your hairs safe from chemicals. The caps come in different shades and are best to send across colourful wishes to your loved ones ahead of Holi season. For delivering your best wishes in the sweetest way possible to your near and dear ones, here is a box of delicious soan papdi sweets. 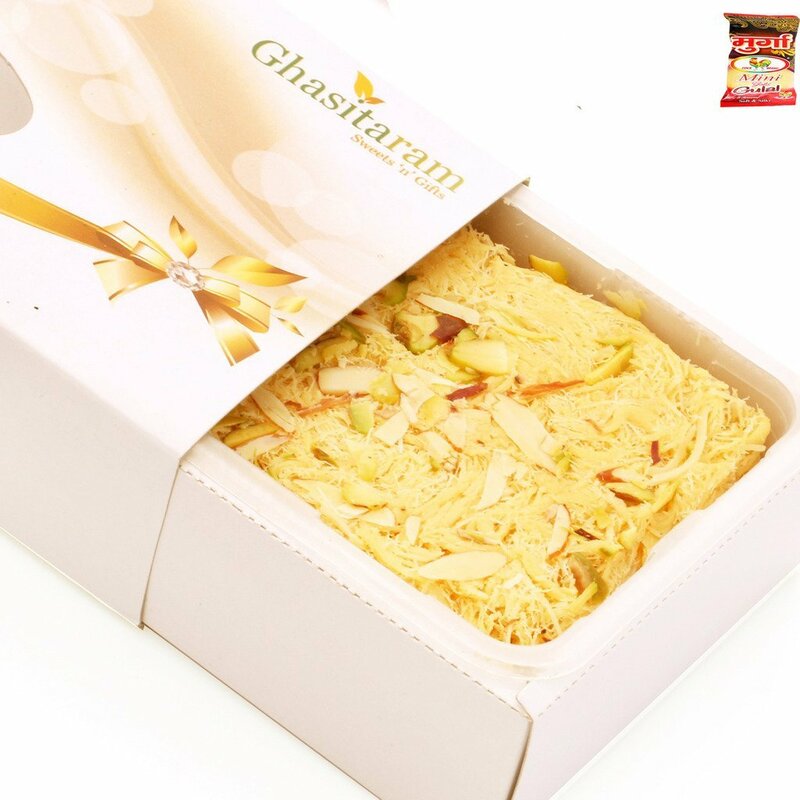 Made from the most candied ingredients and packed in a nice box, this all-time favourite box can be a saviour for times when you are out of ideas for Holi gifts. An all in one gift combo pack, this package includes dry petha along with salted kaju for you to toothsomely enjoy the festivities. Also, in regards to the joy of the celebration, there is a water gun and a pack of water balloons included. This gift item from Bikanervala house is one that you can happily present your loved ones in all personal and professional settings. If you are visiting your friends or relatives on Holi and do not want to go empty handed, here is the perfect gift box to carry. The Total Herbal premium pack contains 4 herbal colours, one herbal spray and a flower packet. Perfectly blended from herbs and non-edible products, these colours are totally safe for the skin and easily removable. Enjoy colours all around with this assorted pack of gulals and spread joy and positivity with your wishes and these handy gifts. Holi T-Shirts – Extremely Necessary For You To Keep It Cool!